We’ve all seen them: the posts scattered across social media about someone’s child getting into this University or being awarded that amazing scholarship. The posts about packing up childhood rooms and moving across the country with all of the essentials it takes to survive freshman year. While all of these are amazing and wonderful accomplishments, it doesn’t mean it is the only path or even the right path for every teen. Eleven years ago, I stood where they do now. I took the SAT, I applied to the large universities, I waited patiently for an acceptance letter (several of which arrived), I received the scholarship money, I did the campus visits and I was even this close to moving away to a large university, four hours from home. But, I didn’t. The reason I wanted to go to that university? It was close to the beach. Words that, 11 years ago, sounded fun, exhilarating and like a great life decision. Words that now, 11 years later, sound like a horrible reason to select a college. 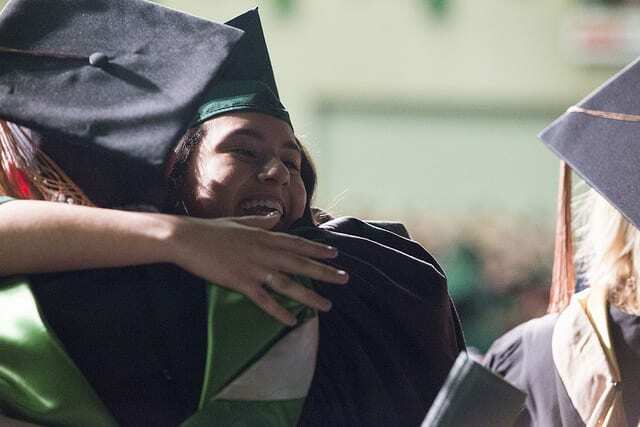 The closer that it came to time for me to make my final decision, I had a sinking feeling that this university wasn’t where I wanted or needed to be. I had no idea what I wanted to be when I grew up. My parents instilled the value of hard work in me at a young age, so I knew that heading off to a university and spending years deciding what I wanted to do was not the smartest decision. Instead, I opted to take the road less traveled out of high school. I decided to stay at home, enroll in community college and work full-time. The summer after my senior year looked different for me than it did most of my friends. They were dorm shopping, finding out about their new roommates and packing away their childhood rooms. I, on the other hand, was working full-time and preparing to start my first semester as a full-time student and full-time employee. I enrolled in online classes and one evening class that I attended after work. I spent most evenings studying for my online class work when I wasn’t in class. My social life during the week was basically non-existent. On the weekends, I was able to spend time with friends and family and have somewhat of a normal young adult life. Of course, sometimes I would wonder what my life would have been like had I gone on to that university, but I was also hearing stories of my friends who felt they had made the wrong decision or who were transferring colleges for various reasons. While many of my classmates were working towards their goals, it seemed like many of them were drifting further away from them and were seemingly focused on everything but completing their education. I on the other hand, felt like I was getting closer to where and who I wanted to be as a young adult. Fast forward to a few years later, I had a great job, was a full-time student taking online and evening classes and was living at home. After I graduated with my Associate’s Degree in Business Administration for my community college, I knew that I wanted to pursue a Bachelor’s Degree. I enrolled in online and evening classes at a local university and went on to graduate with my Bachelor’s Degree in Business Administration. I did all of this while working a demanding full-time job. Did I have the typical college experience? No. Do I regret that? No. During my college years, I did sometimes think of how different my life had been if I had enrolled in that large university at the beach. Most of my friends were having the ultimate “college experience,” some were doing well and others were barely making it, changing majors like they changed clothes and partying non-stop. While I know that living on campus is a great decision for many students and something they wouldn’t trade for the world, it wasn’t the right decision for me. While it was a busy and exhausting four years, I look back and I am proud of my accomplishments as a young adult. I not only graduated with my degree, I also graduated with a solid career foundation. I was climbing the career ladder as most of my friends were searching out internships. Allison Lancaster is a blogger and work at home mom. She has always had a passion for writing and after becoming a mom in 2015, decided to turn her passion into her career. Her writing has been featured on the Huffington Post, Scary Mommy and more. She resides in Tennessee with her husband, Josh and son, Levi. You can visit her blog at www.lovinglivinglancaster.com where she shares her thoughts on parenting and more.